Amongst wine’s (aspiring) cognoscenti, monotheistic worship at the altar of Pinot Noir is commonplace. An intimate knowledge of Burgundy’s finest vineyards is a prerequisite for entry into the hall of “they who know”. Appreciation of the silken, feminine qualities of Burgundy’s sacred grape proves one’s sophistication, as one’s palate soars loftily above those who tastes are more brutal, those seduced by the force and fruit of syrah, grenache or tannat. Or so they believe. 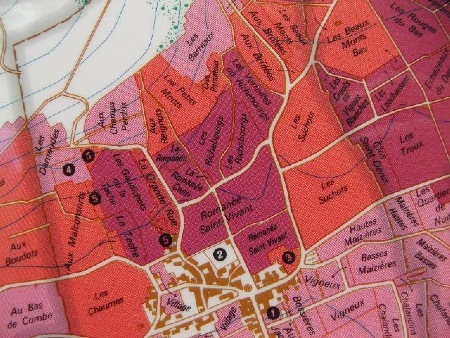 Now, admittedly, from an intellectual point of view Burgundy’s myriad tapestry of vineyards is interesting, in the same way that St. Julien’s transformation into Pauillac into St. Estèphe is interesting. Spotting and identifying the differences between them is high challenge of connoisseurship. To identify vineyard character blind is a phenomenal skill. Vosne Romanée: How can this not be complicated? But I might argue that spotting the nuance in a bolder wine is much harder than in a lighter wine. Shadow is more difficult to decipher in the dark than in the light, as it were. Hence the beauty of what Renaissance artists attempted to convey through chiarascuro, or the technique of shading, of light and dark. Pinot Noir has no monopoly on nuance.